Life is a battle, between good and evil. Between the Kingdom of God and the realm of satan, as well as this world’s system. Between light and darkness. We are constantly fighting it out. Making decisions that favor one kingdom over another. Working with street children in Africa I have seen the battle play out very blatantly, with very obvious consequences to choices made. I’ve seen repeatedly, when one of them is about to come up out of the destructive circumstances they’re in, that they will quite often actually be physically beaten, by someone, whether it be other kids, a family member, or a security guard. I’ve seen that when the devil has you down, he does not like to see you come up, and you must fight that oppression. Here are ways that I’ve seen street kids overcome the opposition that comes against them as they endeavor to enter into a new life, free of lack and destruction. 1) They don’t quit. When they go to school and classmates younger than them make fun of them for being older than the usual student, they don’t quit. They stay in school and keep learning, with their goals in mind. 2) They leave behind old habits and friends. If they huffed glue on the street or smoked marijuana, they stop those things. If they were hanging around others who decide to stay on the streets they stop hanging around those people. 3) They find new habits and friends. Some of them start attending a youth group, or may start playing football (soccer), join a football club, join school and get busy studying. They sometimes have mentors who they spend time with. 4) They have goals. They might make a decision such as, “I’m going to finish high school, no matter how old I am when I finish.” They sometimes decide they are going to succeed at a particular job or career, so that they can in turn help others. They may purpose to have a family of their own, and other various positive goals. 5) They are appreciative. They are grateful for the chance to rise above the life they were in. They’re grateful to have regular meals, that they don’t have to beg for. To have a safe place to sleep, a bed, good people around them, clean clothes, and medical care when needed. They’re grateful to those who have helped them up and to have people around them who love them. 6) They remember. Most of them remember where they’ve come from, the situation that they’ve come from and progress they’ve made. This helps to keep them appreciative as well as to remember that they have overcome obstacles in the past and will do so again when challenges come. 7) They put they’re faith and trust in God. This is last on this list but by no means least. 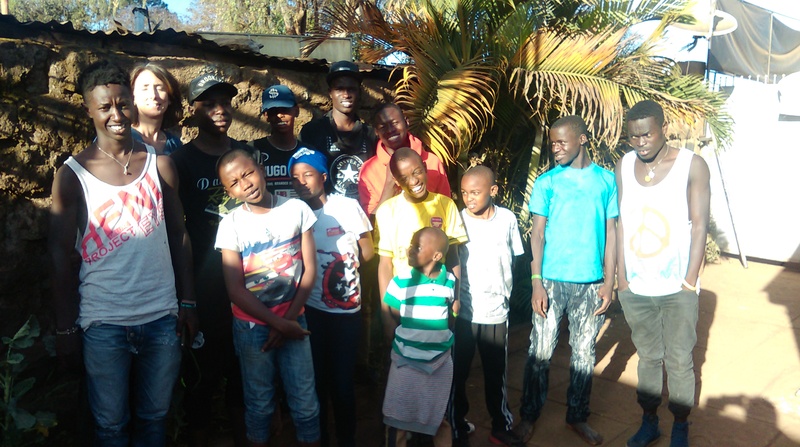 The street children rescues that I have helped with over the years have been done with a huge amount of divine intervention from a Father in Heaven who loves His kids very much. The rescues very obviously couldn’t have been done by any other means. The kids realization of this and continued relationship and trust in Him keeps them growing and learning well. It also helps them to be victorious over new challenges. I pray that you too can overcome all of the enemy’s activity in your life by doing as the street kids who I’ve seen be successful in entering into a whole new life have done. God is able to help you win every battle and see you all the way through to the finish line, triumphantly. Be blessed. You are tremendously, immensely loved.